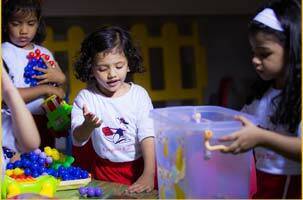 If you are looking for one of the best nursery and playschools in Chembur, you can stop searching, and drop in to know why. 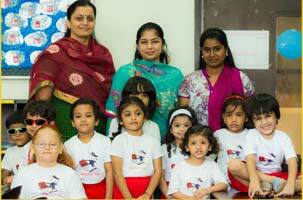 Kangaroo Kids International Preschool, Chembur is one of our 10 premium centres in the city of Mumbai. 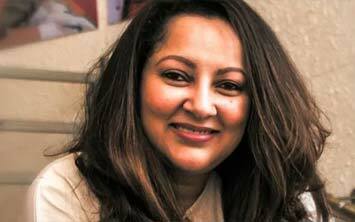 The unique curriculum and learning methodology provided across all Kangaroo Kids, was designed and developed by our founder Ms. Lina Ashar and her team. 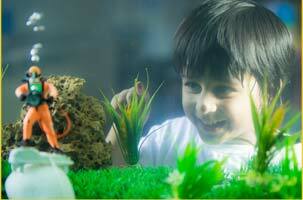 Based on neuroscience studies and findings, it has put us at par with play schools and nursery schools internationally. All our teachers are first trained in this exclusive learning methodology, so that every single one of our little learners has the Kangaroo Kids edge. We understand that each child is different, with special gifts and abilities, and hence encourage them to explore and grasp concepts at their own pace and time. 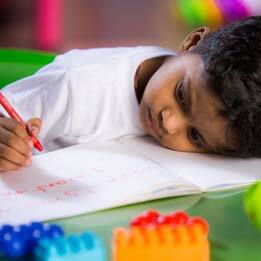 This is done via innovative teaching methods that involve play, art, music, creative activities and outdoor sports. 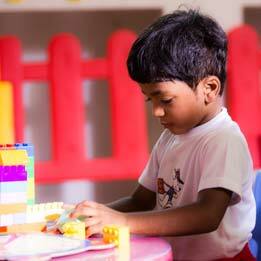 This holistic approach helps develop their spatial, motor and cognitive skills. 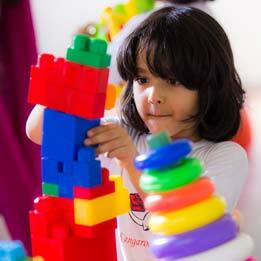 The curated books and toys in our vibrant and well-lit classrooms add to their first learning experience. For every parent, the safety and security of the child is of prime importance. To ensure the same, we have always provided for CCTV surveillance and vigilant staff . Our teachers and staff are also equipped to handle minor situations that may require first aid. In over 25 years, we have established 110+ preschools, play schools, nursery & Montessori schools as well as middle and high schools. Through the years, our teaching system has been acknowledged and awarded, and we are humbled by this recognition in the field of education. Academic achievements are important; however, life skills are vital to any individual’s growth and sustenance. As educators, we believe in inculcating values of kindness, compassion, friendship, integrity and honesty in all our students. We have sown the seeds for global citizens who will lead the world with mindfulness and empathy.